We’ve checked in with two of our CTE members about their project where they live by the book “Writing your Journal Article in 12 Weeks” to see where they’ve ended up this semester. 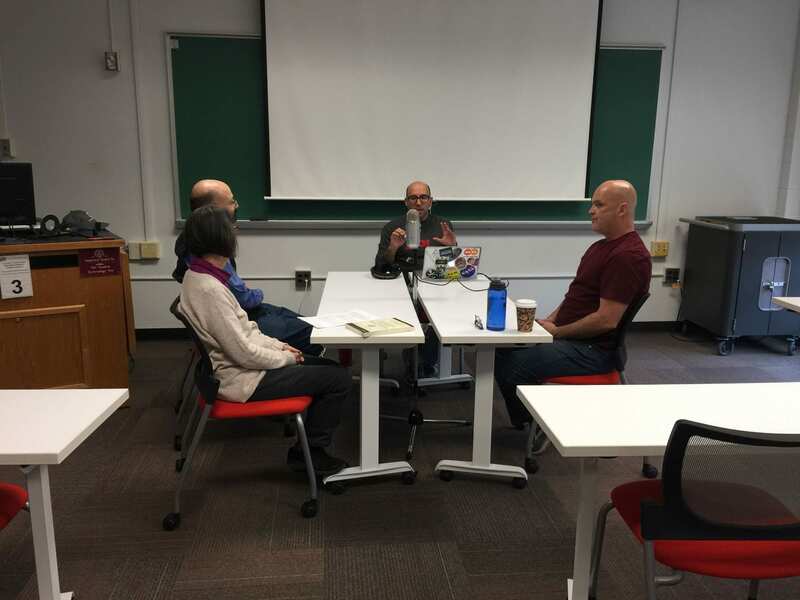 New podcast on Mindfulness Meditation in the classroom and online settings. What resources do we have access to on campus and how can we use it to manage stress in ourselves and students. We’re looking for new podcast proposals! 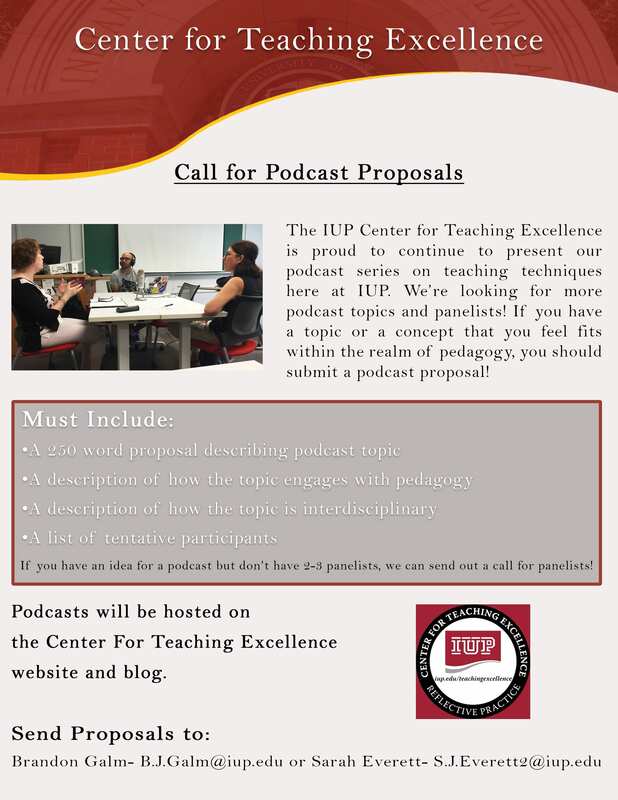 The IUP Center for Teaching Excellence is proud to continue to present our podcast series on teaching techniques here at IUP. We’re looking for more podcast topics and panelists! if you have a topic or a concept that you feel fits within the realm of pedagogy, you should submit a podcast proposal! To learn what information should be included in your proposal, see the attached form. Planning for the promotion process while in a tenure-track position is a valuable use of time, even during the early years of your tenure-track role. Colleagues on campus can provide advice and ideas as you undertake this journey.